Five women died after consuming abortion pills bought online, says report. PETALING JAYA: Five women died after consuming abortion pills purchased online from 2015-2017, reported Sinar Harian. Health Minister Datuk Seri Dr Dzulkefly Ahmad told the Malay daily that four cases occurred in 2015 while one more case occurred in 2017. “Four of the cases were caused by bleeding after delivery, while another case involved an amniotic fluid embolism. All the cases involved the intravaginal insertion of products that contained misoprostol,” he was quoted as saying. The Ministry also recorded three cases that were classified as life-threatening to the women who consumed the pills. Dr Dzulkefly said that to avoid their sales from being detected by the Pharmaceutical division, the syndicates selling the pills used blogs, Facebook, Instagram and WhatsApp among others. They also used online websites such as Lelong.com, 11street, Lazada, Shopee and others. About 17 items worth RM85,513 smuggled in mostly from India and China have been seized. Most of the pills were imported illegally from overseas, especially China and India. Health Ministry director-general Datuk Dr Noor Hisham Abdullah said that data recorded from January until April 15 recorded 18 websites that sold cytotec were determined and investigated. Most of them were operating on Facebook and blogs. Mystery illness at Perak school turns out to be Influenza A(H1N1). IPOH (Bernama): Claims of a mysterious illness in Sekolah Tuanku Abdul Rahman (STAR) here that went viral on social media Tuesday (April 16) are not true as it is just an Influenza A(H1N1) infection, it was revealed Wednesday (April 17). Perak Health, Consumer Affairs, Civil Society and Human Resource Committee chairman A. Sivanesan (pic) said 79 students, aged from 13 to 17, and a teacher were found to have fever and cough yesterday. He said two of the students were admitted to a private hospital for treatment and observation and one of them was discharged today. The rest received outpatient treatment. “They are all reported to be in stable condition. Twenty-eight of them were isolated. Four of the those with cough were confirmed to be Influenza A(H1N1) positive. “The situation in the school is under control,” he told a press conference at the Bangunan Perak Darul Ridzan. Sivanesan was asked to comment on a Facebook post that claimed that 100 students from the school were afflicted by a mysterious illness, with many of them coughing, vomiting and having a fever, which prompted their parents to take them home from the all-male residential school. He said the Kinta District Health Office had taken measures to prevent the spread of the infection, including isolating the sick students. As a means of checking infection, the public is advised to take preventive measures, including getting treatment at the clinic or hospital for influenza symptoms such as fever, cough and sore throat. “Stay home during the period when you have the symptoms and reduce the number of meetings with friends or relatives, avoid public places such as shopping centres, schools, kindergartens or workplaces and do not attend public events,” he said. TODAY is April 2, and while it’s yet another Tuesday to most of us, it’s also World Autism Awareness Day. As such, we now have a chance to show our support for people living with the challenges of autism, their families and perhaps even organisations out there that show them their due respect and empower them. This is why I am highlighting Care2Run and the work they do every Sunday at Taman Aman in Petaling Jaya to help children, teenagers and young adults with autism, Attention Deficit Hyperactivity Disorder (ADHD), Down Syndrome among other challenges. Speaking to Care2Run co-founder Prem Kumar Ramadas, I got a better idea of how Care2Run operates and why it meets every Sunday to help people with intellectual challenges. He said that Care2Run began in 2015, and shared with me how it began working with children and youth with learning challenges. “We did research beforehand to find out what was needed by the community in Petaling Jaya and found that there was an under-served community in schools from dysfunctional and poor families that did not belong to a welfare home,” said Prem. “In the beginning it was predominantly for high-risk children, eventually parents who saw us while we were working with children at the University of Malaya asked us if we could work with children with learning challenges. That was the beginning of phase two for Care2Run,” he added. Prem said that Care2Run had operated at several places before coming to Taman Aman, adding that they shifted to Taman Aman as the park is very friendly for people with disabilities. He also said that Care2Run worked with three schools up to 2018 as part of the school’s co-curricular activities – SMK Sri Permata, SMK Kelana Jaya and SMK Sunway. “We are going to be expanding to different schools which have students with learning challenges in 2019. Currently we are working with adolescents with learning challenges who are not with any schools. Those in our programme right now came in through word of mouth,” said Prem. He explained that on an average Sunday, Care2Run aims to support 20 youth with learning challenges from the age of nine to 34 and support is on a one-to-one basis. Prem also shared with me how Care2Run designs the sporting activities in which the 20 youth participate in – a form of sports Care2Run calls “developmental sports”. “Our hypothesis is that developmental sports can help young people with learning challenges to be more active, and enhance quality of life and cognitive functions,” he added. I then spoke to Care2Run volunteer Gregory Phua, who helps design Care2Run’s sporting activities to get a better understanding of what goes into creating them. “They might be on the autism spectrum and live with dyslexia at the same time, and this compounds the challenges for them. As such, I design the activities to help bring about specific behavioural actions. For example, some children are driven by sight and touch and we need to take this into account,” he said. Phua also said that there is a need to ensure that change happens on an intellectual level with the activities. “All the exercises and activities have to incorporate safety, a learning experience and the activities need to be visually connected for children so they can identify it and participate right away. We need to be clear and precise as possible,” he said. Phua basically said that the aim of all of Care2Run’s initiatives is to give the youth with us the skills to lead at least a semi-independent life as they move into adulthood, adding that these concepts and skills were woven into the games he designed. He also shared with me why Care2Run’s activities take place outdoors. “If you put people behind four walls, you don’t get a natural environment. When you get a natural environment, you begin to see how they interact with other people,” he said. It was at this point I asked Prem how the public could help Care2Run with their efforts, and he said that there are three ways people can help – the first being by helping the organization with research it is doing on developmental sport. “We would love to get 20 high-functioning youth who have Down Syndrome or autism to help with our research on the efficacy of our programme. Currently Care2Run has 10 high-functioning participants along with 10 who are moderate to low-functioning. We need 10 more high-functioning students,” he said. Prem also said that Care2Run also needs mentors. “As youths join us we will need more mentors, and we would welcome 20 highly-energetic mentors to come and assist us on a three-week basis,” he said. Prem also said that Care2Run needs financial help to run. “We need about RM20,000 to operate every month to build and store learning aids and to have several employees so we can run these activities on a consistent high-quality basis,” he said. (Seated, left to right) Lee, Fazalena, Francis and Khoo after the First National Conference for Thalassemic and Parents press conference yesterday. PENAMPANG: Some 1,800 Thalassaemia patients in Sabah have to deal with the critical issue of low supply in blood banks, said Federation of Malaysian Thalassaemia Societies (FMTS) deputy president and Sabah Thalassaemia Society president Francis Mujim. Francis said the figures were not official, but the problem of low blood supply had created a real threat to patients’s safety as they were getting discharged with low haemoglobin (hb) levels from hospitals. He added that discharged patients, in urban and rural Sabah with low hb, such as level five to six, are weak, get tired easily, and cannot walk long distances. Thalassaemics, a group with inherited conditions that cause a person to produce either none or too little haemoglobin that is used by red blood cells to carry oxygen to organs in the body, face other health threats such as cardiac arrests. “That’s why the critical problem for Thalassaemia patients now is the blood supply. To get this blood supply, we have been working with a few NGOs and some cooperation with other departments, but we still cannot cope with the blood needs of the state. “We need more or less 1,700 to 1,800 pints of blood every month for Thalassaemia, not inclusive of other patients,” he said during the First National Conference for Thalassemic and Parents press conference held here yesterday. “We can understand the problem but what we ask through this conference is to empower, provide more information to patients so they can communicate to doctors the repercussions should they be discharged with hb 6 (for example),” he explained. He stressed that there is a clinical guideline outlining the management of Thalassaemia, and patients should not be allowed to go home with low levels of hb. He added that as of August 2018, the number of Thalassaemics in Malaysia was 7,848, 55% of which are under the age of 20. Francis said since Sabah has the highest number of Thalassaemia majors, the conference is held to create a more informed Thalassaemic community. The conference themed ‘Empowerment Through Knowledge’, targeted to create knowledgeable patients and parents, is expected to be held on September 14 and 15 this year in Sabah. However, FMTS president Khoo Swee Hong said the location has not been determined yet due to budget. Khoo said the conference also aims to standardize the treatment of Thalassaemics in every Malaysian state, amongst others. Among the targeted attendees are Thalassaemics, their families and doctors and nurses providing medical management to the patients. Exhibition booths will also be held to showcase the newest administration methods on chelation as well as other management needs of Thalassaemia. Khoo said among the FMTS fund-raising events with Penang’s Friends of Goodwill for the conference are the Silent Art Auction, June 8 to July 6 at Penang Pac, Straits Quay, Tanjong Tokong in Penang, and the Charity Food Fair on August 18 at a yet to be confirmed venue. A comprehensive population study is under way to get a better understanding of the root cause of hypertension. Hypertension does not choose its victims. Increasingly, many under 40 had died because of it. It is known as the silent killer. There have been many studies, but the results have not been conclusive, only inferences to the cause. Now, a comprehensive population study is under way to get a better understanding of the root cause. It is a collaboration between Malaysia, the United Kingdom and the Philippines. It will span a few years, collecting population data on lifestyle parameters. In Malaysia, the vice-chancellor of UCSI University leads the project, bringing collaborative partners from Universiti Putra Malaysia and Universiti Teknologi Mara. 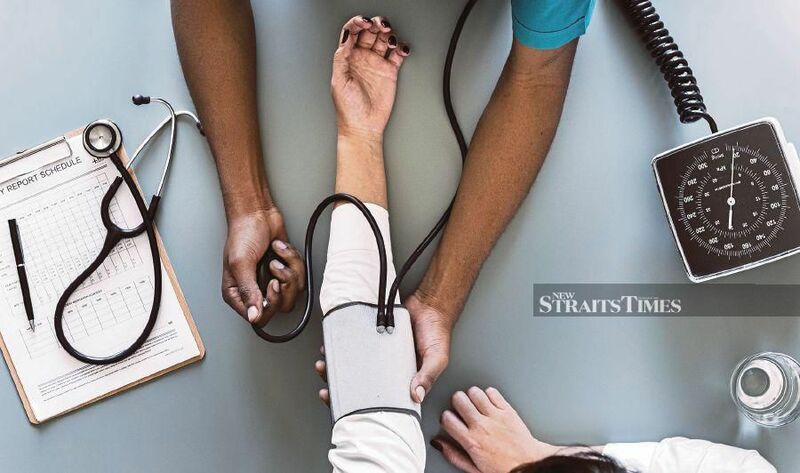 Funded by the Malaysia-UK joint research fund, named the Ungku Omar/Newton fund, the study hopes to get more conclusive findings on how to tame hypertension. There is no doubt the findings will be beneficial. The endgame is to improve understanding of the cause of the rise in non-communicable diseases like hypertension. We should give priority to such high-impact research. Of late, there have been far too many low impact researches. I have been following the research trend in the country. Yes, we have witnessed an impressive rise in the number of research publications, mostly driven by the obsession with ranking. But the data shows a majority of them have low citation index, confirming their low impact. It is unfortunate that such ranking-motivated researches are rampant. There was a High-Impact Research Programme at Universiti Malaya. This, unfortunately, met an early demise. The problem is with research planning. We do not plan for the long term. We lack the long staying power. No wonder we are not among top achievers in research. It is time we rethink our strategy on research planning. The tri-country study on hypertension, branded RESPOND, has run for more than a year. I had the opportunity to join the research group in their data collection. In Malaysia, they picked four states for the study — Penang, Selangor, Kelantan and Johor. In each state, they interviewed two sets of population — people from rural and urban areas. Some initial results were shocking — many people are either unaware they have hypertension or give serious attention to therapeutic prescriptions. They also do not strictly follow the medication regime advised by doctors. Scientists are looking at other behavioural data to link to such practices. Comparisons will be made between rural and urban data, as well as between the three participating countries. It is evident through past studies that clinical drug trials alone will not provide answers to many of our medical problems. Different people respond differently to drugs. This has been explained as the influence of each individual’s genetic make-up on the efficacy of drugs. By PROFESSOR DATUK DR AHMAD IBRAHIM. Vaccinations – a vital line of defense. ON June 18, 2016, seven-year-old K. Durgasini passed away. Her cause of death? Bacterial diphtheria. Then on June 22, a two-year-old boy from Kuala Muda was admitted to Sultan Abdul Halim Hospital along with six siblings for suspected diphtheria. Of the seven siblings, four children were not immunised against diphtheria – including the deceased two-year-old. Back then, I had a glimmer of hope that these would be the last cases of preventable diphtheria I’d see. However, this was not to be as a two-year-old child from Johor Baru who was not immunised passed away on Feb 21 this year, and the child’s death was due to diptheria. Since then, the Health Ministry has said that misinformation about vaccination had led to a huge jump in the number of vaccine-preventable diseases, with cases of measles jumping over 10-fold from 2013 to last year. It also said that a lack of immunisation was detected last year in all six measles deaths recorded and in 19 of the 22 deaths from whooping cough (pertussis). So yes, after reading all this, you’re going to hear me say the same thing I said in June 2016 – that parents need to immunise their children to prevent utterly avoidable tragedies like this. And once again, I’m going to urge you to do more than just take my word for it and listen to experts like paediatrician and neonatologist Datuk Dr Musa Nordin, especially if you’ve yet to keep your kids up to date on their vaccinations because of doubts about vaccines. “Autism is a disorder that is strongly linked to genetics. In the case of identical twins, if one has autism the chance that the other twin is also autistic is as high as 90% because they share the same genetic material. There is no relation whatsoever with the mercury or aluminium used in vaccines,” added Dr Musa. At this point I’ll just put in my own thoughts and ask parents who refuse to vaccinate their kids because of these fears if they think that autism is so bad that they’ll rather their kids be dead than autistic? Now, returning to Dr Musa, he also shared his observations about the anti-vaccine information online. ” If you google ‘vaccines’, 60% of what you’ll find are anti-vaccine websites and many of them go on excessively about adverse effects following immunisation. That is why the World Health Organisation and Unicef have come out with a website with information,” said Dr Musa. He added that the website is called the Vaccine Safety Net Project at https://www.vaccinesafetynet.org/ and said that it addresses any information about adverse effects. Dr Musa then spoke of another critical reason why people should be vaccinated, and that is to prevent the spread of diseases that would otherwise be contained if people were vaccinated. “In 2015, an unvaccinated child went to Disneyland and caught the measles. It then spread to 20 states, north to Canada and south to Mexico. In Malaysia, we had 195 cases in 2013. In 2018, we had over 1,900 cases,” he said. This is also something touched on by the University of Oxford in the United Kingdom, which also put forward an argument in favour of vaccination through their Vaccine Knowledge Project. “For example, if someone with measles is surrounded by people who are vaccinated against measles, the disease cannot easily be passed on to anyone, and it will quickly disappear again. This is called ‘herd immunity’ or ‘community immunity’, and it gives protection to vulnerable people such as newborn babies, elderly people and those who are too sick to be vaccinated,” said the Project. So yes, I am completely for vaccinations and I am totally in support of any proposal to make immunisation mandatory. As it stands, there have been too many preventable deaths already and Malaysians need to step up, heed the evidence-based science and do something before it’s too late. IF you’ve kept your ears to the ground in recent years, you’d have noticed a rather disturbing trend amongst society. There has been an insurgency against various normal life practices for no other reason than because of lack of knowledge and common sense. These include the anti-vaccination movement, racism-driven groups, flat earth societies, global warming deniers and a disturbing wave of support for fascist ideologies. These examples stem from a dismissal of a mountain of historical facts humans have already accumulated in establishing scientific and ethical truths. Truths such as the fact that vaccines do not cause autism, and the direct correlation between the rate polar ice is melting and global warming caused by humans. Anti-intellectualism is on the rise, and you would do well to equip yourself against it. Educational institutions from kindergartens to universities are the bastions of defence against anti-intellectualism. One thing that has not changed from ancient Greece till today is the need to confer with experts then to gain more knowledge. This includes direct methods of acquiring knowledge such as studying under them, applying the Socratic method and reading materials provided by experts. Let us be reminded of Socrates’ horse-breeder analogy in which he states that only very specialised people such as horse breeders are able to positively influence the development of a horse whereas those without the knowledge would be doing more harm to the horses. One of the lessons to take from this analogy is that you should only entrust an expert in a subject matter to impart knowledge. In a more modern vein, when applied to anti-vaccination movements, we must ask ourselves the source of the information and the research done to reach the conclusion. An afternoon of online searches does not equate six years of studies culminating in a doctorate degree. If you must use a search engine online to find an answer, ensure that you get it from experts. Students these days are far better equipped to obtain knowledge on various subjects from many experts than ever before. The Internet is one such tool that can be utilised but it is unfortunately a double-edged sword. When using a search engine, the problem that arises is that both sides of an argument will turn up. In fact, if a person words their search in such a way that it merely seeks out one side of the argument, that is the only answer they will see. For example, you could make the search inquiry “How do vaccines cause autism?” and you would likely get a hit on the infamous 1998 Lancet paper that implied a link between the Measles, Mumps and Rubella vaccine and a “new syndrome” of autism and bowel disease written by Andrew Jeremy Wakefield, a discredited former British doctor who was struck off the UK medical register for unethical behaviour, misconduct and dishonesty in academia. One might accept his findings based on his former credentials as a doctor. It is a good idea to also read counter-arguments by other experts. In this case, a coalition of experts discredited him and more research found that vaccinations are in fact good. Now let us step into greyer territory. Science is arguably easier to digest as it relies on facts that require replicable results through testing. One can test the hypothesis and if it is replicable, and the logic is sound, we accept the data until further testing is required due to a discovery of new knowledge pertaining to the subject. However, this is where we start having a bit of a problem with ethics. Let’s take one of the most famous “thought experiments in ethics”, namely the trolley problem which states the following: “You see a runaway trolley moving toward five tied-up (or otherwise incapacitated) people lying on the tracks. You are standing next to a lever that controls a switch. If you pull the lever, the trolley will be redirected onto a side track, and the five people on the main track will be saved. The paper titled Of Mice, Men, and Trolleys: Hypothetical Judgment Versus Real-Life Behavior in Trolley-Style Moral Dilemmas written by Dries H. Bostyn, Sybren Sevenhant and Arne Roets explored the trolley problem in real life albeit with mice instead of humans. Yet the results of that test cannot be replicated using self-reported surveys on the choice people would make in the trolley problem. Perhaps we need a larger sample size to determine the results better but there is a larger problem at hand even if we bypass laws and ethical safeguards that prevent people from testing the trolley problem in real life. Just because more people decide it is ethical does not make it so. Again, this is where being knowledgeable is important. Your views on a matter may change over time, and multiple times depending on the information you have acquired along the way. I am not asking you to take my word that vaccinations are not detrimental to humans, that global warming is happening now and that any one race is superior over others. I am merely saying that education is important, and pursuing knowledge is a never ending process. The wealth of human knowledge pales in comparison to what we do not yet know of the universe; our only option is lifelong studies. But there is one thing I can say with certainty. Knowing more of this world is better than knowing too little, that it may do harm to ourselves and others. Unicef: Mandatory laws not best way to ensure children are vaccinated. PETALING JAYA: Mandatory laws are not the best way to ensure that parents vaccinate their children, says Unicef Malaysia representative Marianne Clark-Hattingh. “The government of Malaysia is right in giving importance to vaccination of all children. However, mandatory laws are not the best way to do this. “Unicef’s experience shows that there is little evidence to show that mandatory laws improve vaccination coverage,” she said in a statement issued Friday (March 1). Clark-Hattingh’s remarks came a day after the Health Ministry formed a task force to study proposals and calls to make vaccination compulsory. According to Clark-Hattingh, there are better and more effective approaches to foster and sustain demands for immunisation. She said it was crucial to understand why parents were reluctant to vaccinate and subsequently guide the parents with the right information and targeted campaigns. “There is also a need to constantly engage healthcare providers for improved communication with clients,” she added. Clark-Hattingh expressed concern over the re-emergence of measles and diphtheria, and the escalating number of parents who are reluctant to vaccinate their children. She said that the government must consider the consequences of not allowing unvaccinated children to school on their overall well-being. “Vaccinating every child is critical. Not vaccinating your child puts others at risk,” she added. Clark-Hattingh said a child’s best interest is protected when parents and caregivers vaccinate them based on informed decisions or are prompted by non-coercive measures and interventions. She also said that health workers at both public and private facilities should continue their efforts to ensure that every child is vaccinated. THE Reputation Institute (RI) reported in November 2018 that nearly 84 per cent of a company’s value is now based on reputational factors. RI estimates that a one-point increase in a company’s reputation yields a 2.6 per cent increase in its market capitalisation. Apparently, reputation has never been more important. A series of high profile halal crises in recent years with top brands have shaken public confidence in the ability of brand owners to assure the integrity of halal certified products. Muslims today are less prepared to tolerate risks, whether real or perceived, and demand a near zero-risk halal environment. Furthermore, Muslims are intrinsically motivated to actively boycott brands that are in violation of the teachings of Islam. As a result, there is a high chance that a halal issue may snowball into a global halal crisis. Due to a large, young and fast growing Muslim demographic in combination with a substantial and fast expanding global Islamic economy, Muslim countriesin the Middle East and Asia are one of the leading consumer markets today. However, it is critical for industries operating in or exporting to Muslim countries to recognise the importance of halal compliance and the danger that halal reputational risks pose for a company. Corporate halal reputation is pivotal in protecting your licence to operate in Muslim markets. Muslim countries are introducing new halal regulations and existing halal certification bodies (HCBs) are continuously upgrading their halal standards. HCBs allow very little time for industries to comply with their new halal requirements. It is therefore paramount to be proactive on emerging halal requirements. As a result, halal is not static but continuously in development. Evidence supports that halal is going through an evolution from a product approach towards a halal supply chain one (where similar to food safety halal is addressed throughout a supply chain) and halal value chain (addressing also aspects such as Islamic branding, finance and insurance). Corporate halal reputation is key to sustainable competitive advantage in Muslim markets. It is important to choose the right halal certificate, or combination of halal certificates, based on the company’s export goals. Alignment of the company’s halal supply chain with the market requirements of the Muslim markets that it is serving is becoming necessary. Alignment is about earning respect from the Muslim consumer with the ultimate goal of increasing value to the consumer in terms of Islamic resources, Muslim obligations and Muslim lifestyle. Companies need to be aware of halal issues. A halal issue is a gap between the stakeholders’ expected and perceived halal practices of a brand owner. A halal issue can be related to contamination, non-compliance or perception. Halal supply chains today are complex global halal networks that cause halal issues. The halal industry is expanding fast in width (new categories of halal certifiable products are being introduced such as cosmetics, pharmaceuticals, paint, toilet paper, etc.) as well as depth (more brands within a product category are halal certified), leading to an evident scaling up of halal issues. Desiring economies of scale and scope, multinationals have been acquiring other brands. They have created global integrated systems and a coupling of brands. Muslim markets today are supplied by global supply networks of multinationals, originating from different production locations with a different halal context. The halal context of a country is linked to a different Islamic school of thought, religious rulings (fatwas), and local customs, which comes with different halal standards. In a single production location multiple brands are produced. It is also very easy to find out online which organisation owns which brands. Although these global supply networks might be efficient, there are also risks from a halal reputation point of view. As seen over the past with big food companies, when a brand is faced with a halal crisis it easily spreads to other brands of the company and other geographical markets. cause (e.g. : fairtrade, water fund). Halal issues with a co-brand could damage the company’s brand as well. Correlation can happen when a halal issue affects a competitor but infects the entire industry. This could be related to a perceived non-compliance or an industry practice. (Stock image for illustration purposes) Only a blood test will establish whether people are diabetic or pre-diabetic. 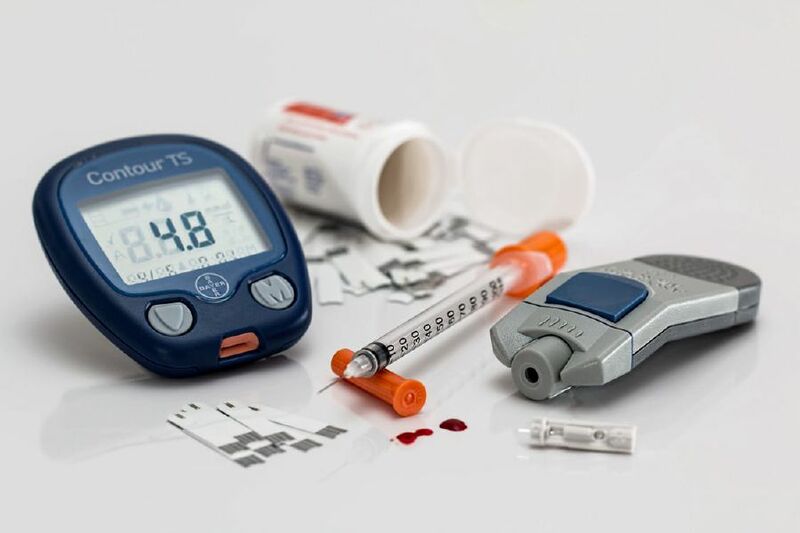 A RECENT study indicates that there are three million diabetics in Malaysia and 16 per cent of the national budget for healthcare goes to treat diabetes and related complications, like kidney failures, limb amputations and blindness due to nerve damage. Diabetes has no outward symptoms and will silently damage the nerves, which leads to organ failure. Only a blood test will establish whether people are diabetic or pre-diabetic. When people are found to be diabetic, medication and counselling on diet and a healthy lifestyle prevent serious complications. When people are found to be pre-diabetic, counselling on diet and a healthy lifestyle can prevent the onset of the disease. Singapore has taken measures like having mobile clinics to screen people for diabetes and lessons on diabetes prevention for schoolchildren. Similarly, we hope that the Health Ministry will have mobile clinics to screen and educate people on diabetes. Those in rural areas and the poor have poor knowledge of diabetes and its complications.